Ortiz, Mike - Groelle & Salmon P.A. Prior to joining Groelle & Salmon, P.A., Mr. Ortiz’s practice involved the representation of corporate defendants in commercial litigation matters. Mr. Ortiz also focused on defending businesses involved in Title III, Americans with Disabilities Act (ADA) lawsuits and other employment related disputes filed before the Equal Employment Opportunity Commission (EEOC). 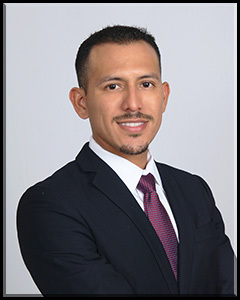 Aside from representing businesses throughout the State of Florida, Mr. Ortiz has also represented entities and individuals from South America, Europe, and Asia. Mr. Ortiz is fully fluent in Spanish. He is admitted to practice in the State of Florida and all District Courts in the State of Florida.